Lot 922. 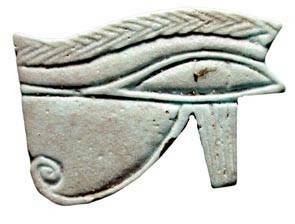 Faience Wedjat Eye. Egypt, Late Period, 664-332 BC.